hCG is quickly gaining popularity in the weight loss world as the magic remedy for quick and easy weight loss. What are the facts about hCG? Is it safe? Does it really work? 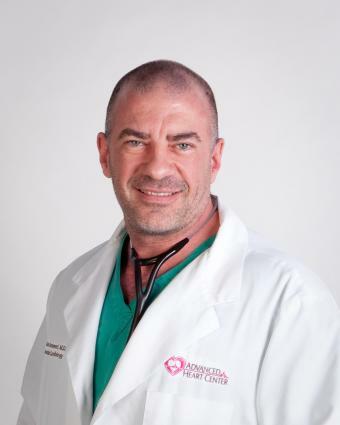 Recently, LoveToKnow had the opportunity to speak with Dr. Brian Arcement, Medical Director of Nuviva Medical Weight Loss Clinics in Florida, about how hCG works and why. LoveToKnow (LTK): Dr. Arcement, can you provide a little background on yourself and what makes you qualified to speak on hCG? Dr. Brian Arcement (BA): I am a graduate of the University of South Alabama College of Medicine and completed my residency in Internal Medicine, a Fellowship in Cardiology at the University of Florida Health Science Center-Jacksonville and a second Fellowship in Interventional Cardiology at Vanderbilt University Medical Center-Nashville. I am also a diplomat of the American Board of Anti-Aging Medicine. As a Quad certified and Board certified interventional vascular cardiologist, I have been practicing for more than a decade. Through the course of my work, I have seen the physical devastation of poor lifestyle choices and the aging process on the human body. Therefore, during my years of professional practice, I now see weight management as a vital component in long-term health. In addition, I have been utilizing hCG for over five years through my Hormone Replacement Therapy practice specifically for men with testosterone deficiency and most recently with the medically assisted weight loss program I designed through Nuviva Medical Weight Loss. In addition to my experience, I am comfortable with the Nuviva program's use of hCG for weight loss based on the anecdotal evidence we have seen through our clinics as well as the clinical experience other weight loss clinics nationwide have demonstrated through the successful treatment of thousands of clients. BA: HCG, or human chorionic gonadotropin, is a hormone produced by women during pregnancy. The hormone is primarily responsible for maintaining a viable fetus, particularly during the first trimester. Additionally, it is thought that hCG causes a physiologic occurrence making stored fat available as a nutrient source for the growing fetus. LTK: Why does it help people lose weight? BA: HCG is believed to help the body utilize stored fat for calories and to reduce the body's tendency to use lean muscle mass as an energy source when combined with a very low calorie diet. LTK: In what forms is hCG available? BA: Although hCG is available in several forms, including subcutaneous (or injectable), topical, sublingual and homeopathic, I recommend only the use of pharmaceutical grade subcutaneous hCG. This is because the subcutaneous route is the only method known to directly control the proper amount of hCG given. hCG given sublingually requires at least double to triple the amount of injectable hCG to ensure that some hCG is absorbed. However, the amount absorbed can vary from client to client based on each individual's oral mucosa. This same reasoning applies to topical hCG and why I do not recommend its use. Additionally, some clients are even incapable of absorbing any hCG topically or sublingually. Oral hCG has no biologic effect as the hCG is immediately broken down by acid in the stomach. The only method available to provide absolute certainty that the correct amount of hCG prescribed is given is to inject the hCG subcutaneously. LTK: How is hCG best taken to be the most beneficial? BA: My recommendation is found in the Nuviva protocol, which allows for a client to take 150 units of subcutaneous hCG daily six days a week. Also, we have seen through the course of our work with clients that hCG loses its effectiveness after a certain amount of time. Therefore, I recommend clients cycle on and off hCG in specific time frames in order to maximize its effectiveness. LTK: Is the weight loss permanent or does a person have to keep taking hCG to maintain their weight loss? BA: Once a client has reached their goal weight, they no longer need to take hCG to maintain their weight loss. As hCG is only utilized in one of the four phases of the Nuviva program, a mainstay of the program includes teaching our clients the tools and providing them with the resources they will need to maintain their weight loss gains for life. For many people, weight loss is a chronic endeavor. All too often the shedding of pounds is a temporary event followed by a steady regain of lost weight. This is because most individuals do not learn how, what and how much to eat in order to properly fuel their bodies. They are not educated about proper food choices and effective exercise. Through the Nuviva program clients learn to count calories, eat real food and understand how their body will process food, the only way to maintain weight loss gains for the long-term. A further component of the Nuviva program that assists people in maintaining their weight loss gains is through better understanding of each client's own body. In Phase Four, we utilize a Resting Metabolic Rate Machine to find the client's very own Resting Metabolic Rate (RMR). This is a number that is unique to each individual client. It is the number of calories their body will burn everyday even if they sustained no physical activity. From this number, we determine the right number of calories for the client and their metabolism. Knowing your Metabolic Rate helps you to know how to balance what you eat with what you burn. If this number and balance is adhered to, each client will be able to manage their weight for life. LTK: How long before results are seen and what rate of weight loss is typical? BA: Once a client begins taking hCG, it takes three days to become fully active in the body. For this reason, most people will see only moderate weight reduction within the first week on hCG. From this point on, weight reduction is unique to each client but can range from two to five pounds a week. LTK: What research has been done on the safety of hCG for weight loss? BA: For many years, physicians have safely prescribed hCG to assist overweight patients in reducing their weight. To date, however, these implications for hCG have not been proven in medical studies and the FDA has not approved the use of hCG for medical weight loss. However, through our clinics, we have helped thousands of individuals with their weight loss goals and have seen the anecdotal evidence of the effectiveness of hCG for long-term weight loss. Studies are currently being conducted on the use of hCG for weight loss, and I believe these studies are a direct result from proven success of individuals utilizing hCG for safe and effective weight loss. LTK: What side effects are typically seen? BA: Typical side effects associated with hCG diets include hair loss, headaches and nausea. However, these side effects are often signs of nutritional deficiency. We have addressed this issue through supplying clients with specially blended supplements, vitamins, minerals that correspond with each phase of the Nuviva program. Patients who experience these symptoms would have their calories increased or have their diet and supplements reviewed to make sure they are appropriate. LTK: Who should not use hCG? BA: Women who are pregnant or who are actively trying to become pregnant should not use hCG. Also patients with a prior history of DVT (deep vein thrombosis), especially women with a history of DVTs while receiving hCG for infertility treatments should not take hCG. Additionally women with active breast cancer and men with active prostate cancer should not take hCG. As with all weight loss programs, I recommend anyone considering a hCG diet consult their physician to determine if the program is appropriate based on health, medical history and personal weight loss needs. LTK: What else can you share about the safety of hCG and weight loss? BA: If someone is considering a weight loss program that incorporates hCG, I recommend they do so in a medically supervised environment and use only pharmaceutical grade hCG as one component in a comprehensive weight loss program that emphasizes proper nutrition, exercise and healthy lifestyle changes to sustain long-term weight loss. Additionally, a common misconception regarding hCG is that it introduces high amounts of hormones into ones body. hCG is given in very small doses during third phase of the Nuviva program, the hCG diet phase. To put this into perspective, women using hCG for medical purposes, such as fertility treatment, would inject between 50 and 100 times the dose that we prescribe through the Nuviva program or what you may find in a typical hCG diet. Interestingly, hCG is currently being studied for implications beyond weight loss, including reduction of breast cancer occurrences for women and prostate issues, including prostate cancer, for men. It is important to note that at this time hCG usage in the above-mentioned ways is only in the research phases. It is not recommended that hCG be used for the treatment of breast cancer or prostate cancer. Additionally, until further studies have been conclusively conducted, hCG should not be prescribed to patients who have active breast cancer or prostate cancer. However, I am encouraged by the potential that one day hCG may prove to be a new and exciting treatment for both of these life threatening diseases. LoveToKnow would like to thank Dr. Brian Arcement for taking the time for this interview. If you think you'd like to try hCG for weight loss, talk to your doctor to see if it is a good idea for you. You can also learn more by visiting NuvivaWeightLoss.com.